I hope everyone had a Happy Christmas and that you all enjoyed some damn fine food and drink over the festive period. 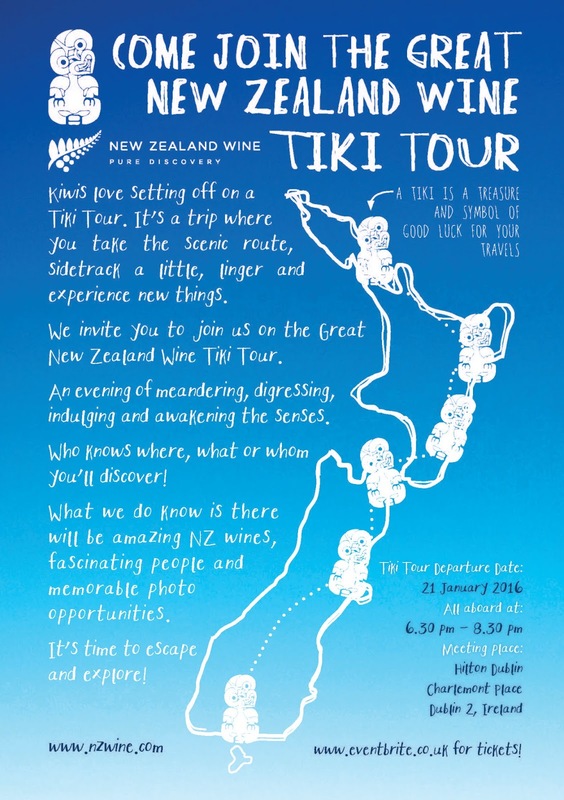 For those of you who aren't planning a dry January, here are details of two upcoming wine events, featuring the wines of Australia and New Zealand. And even if you are planning a dry January, surely you can allow yourself a little wine? When: Thursday, January 21st between 6.30 pm - 8.30 pm. The Kiwis are on a wine tiki tour - join them for an evening of meandering, digressing, indulging and awakening the senses. Tickets cost €15 and can be booked here. When: Wednesday, January 27th between 6.30 pm - 8.30 pm. Taste a selection of Australian wines in a relaxed and fun environment, suitable for everyone from the absolute beginner to the savvy wine lover. Australian winemakers will be on hand to answer your questions and tell you more about the wines and how they are made. Tickets cost €15 and can be purchased online here.